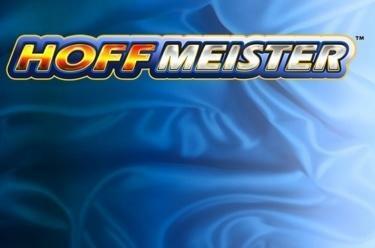 Play Hoffmeister™ online for free now! Holy Hoff! 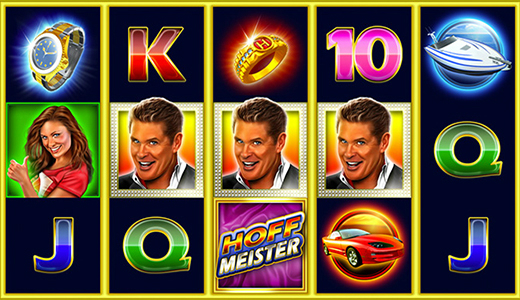 Even David Hasselhoff is amazed with these winnings! Experience a great appearance from the cult stars and land yourself whopping Twist wins with fast boats and expensive cars! David himself will moderate your game and help you cash in on 5 reels and 10 pay lines; 11 Free Spins with fixed WILD symbols will be your personal show highlight! Your aim is to land 5 matching symbols along a win line. Your winning patters run from left to right along the reels. To win, your matching symbols have to start on the first reel and lie side by side along the win line without being interrupted by other symbols. The David Hasselhoff (WILD) symbol substitutes all symbols except for the Scatter symbol. Land 3 Scatter symbols anywhere on the reels to trigger 11 Free Spins with the fixed Wild symbol. Land 3 Scatter symbols ('HOFFMEISTER') anywhere on the reels to trigger 11 Free Spins played with the same settings as your last round. If you land the WILD symbols on the reels in the Free Spins, these are fixed in place until the end of the Free Spin rounds and can be used to complete your winning combinations.